Here is the list of the hotels near Lesparre-Médoc. Book your hotel near Lesparre-Médoc today, Thursday 16 May for the best price, reservation and cancellation free of charge thanks to our partner Booking.com, leader in on-line hotels reservation. Below here is the list the 50 closest hotels of Lesparre-Médoc, sortable according your criteria. You will find the position of these accommodations on the Lesparre-Medoc hotels map. Featuring a garden, La maison d'été de mes parents offers accommodation in Vendays-Montalivet with free WiFi and garden views. This property offers access to a terrace. This 3-bedroom holiday home comes with a kitchen, a seating area, and a satellite flat-screen TV and Blu-ray player. The holiday home also features 2 bathrooms. A bicycle rental service is available at this property. Royan is 43 km from the holiday home, while Saint-Palais-sur-Mer is 48 km from the property. The nearest airport is Mérignac Airport, 74 km from La maison d'été de mes parents. Boasting barbecue facilities, Chez Véro & Bernard provides accommodation in Vendays-Montalivet with free WiFi and garden views. Guests staying at this holiday home have access to a fully equipped kitchen and a terrace. The holiday home includes a living room and 1 bathroom with a shower. A flat-screen TV with satellite channels is offered. Guests can also relax in the garden. Royan is 43 km from the holiday home, while Saint-Palais-sur-Mer is 48 km away. Mérignac Airport is 74 km from the property. Ferienhaus Vendays Montalivet 150S is set in Vendays-Montalivet. Guests staying at this holiday home have access to a fully equipped kitchen. Royan is 41 km from the holiday home, while Saint-Palais-sur-Mer is 46 km from the property. Mérignac Airport is 80 km away. 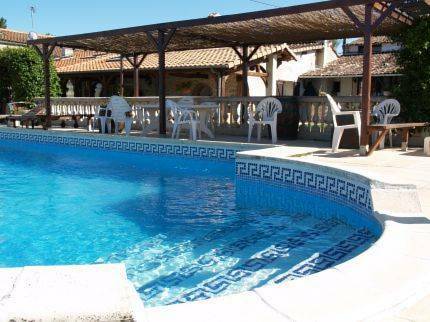 Ferienhaus mit Pool Naujac sur Mer 110S is set in Naujac-sur-Mer. Guests staying at this holiday home have access to a fully equipped kitchen. Royan is 49 km from the holiday home. The nearest airport is Mérignac Airport, 75 km from the property. Situated in Naujac-sur-Mer in the Aquitaine region, Ferienhaus Naujac-sur-Mer 100S has a terrace. Guests staying at this holiday home have access to a fully equipped kitchenette. Royan is 47 km from the holiday home, while Lacanau is 36 km away. The nearest airport is Mérignac Airport, 78 km from Ferienhaus Naujac-sur-Mer 100S. 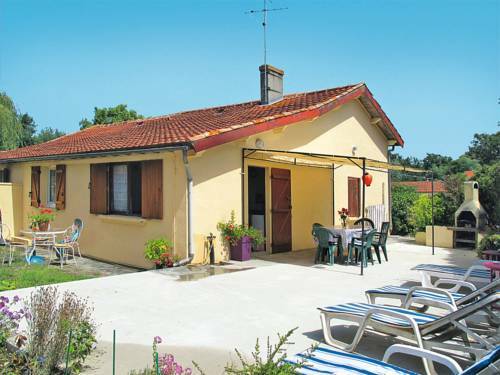 Set in Jau-Dignac-et-Loirac, La Mancine Laulan offers accommodation with a terrace. Free WiFi is featured. The bed and breakfast offers a flat-screen TV and a private bathroom with free toiletries, a hair dryer and shower. A continental breakfast can be enjoyed at the property. La Mancine Laulan offers a barbecue. Cycling and hiking can be enjoyed nearby. Royan is 34 km from the accommodation. The nearest airport is Mérignac Airport, 79 km from the property. Located in Jau-Dignac-et-Loirac in the Aquitaine region, Château Pontac-Gadet 100S has a terrace. This property offers access to free WiFi. This holiday home features 2 bedrooms, a TV, and a kitchen. Royan is 35 km from the holiday home, while Saint-Palais-sur-Mer is 40 km away. The nearest airport is Mérignac Airport, 79 km from Château Pontac-Gadet 100S. Château Pontac-Gadet 101S is set in Jau-Dignac-et-Loirac. Free WiFi is provided. The holiday home features 2 bedrooms, a living room, and a kitchen with an oven. A TV is featured. Royan is 35 km from the holiday home. The nearest airport is Mérignac Airport, 79 km from the property. Below here is the hotels map of Lesparre-Médoc. Names and details of Lesparre-Médoc hotels can be shown on the map clicking on the prices icons.